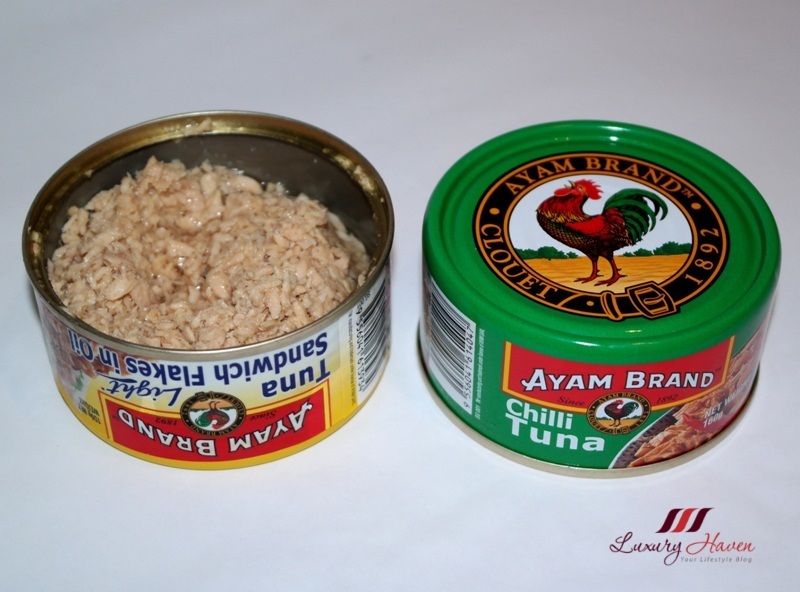 Ordered the Ayam Brand Chilli Tuna and the Ayam Brand Sandwich Tuna Flake in Oil and gave my son the option the pick. Well, I am not surprised he chose the non-spicy tuna. 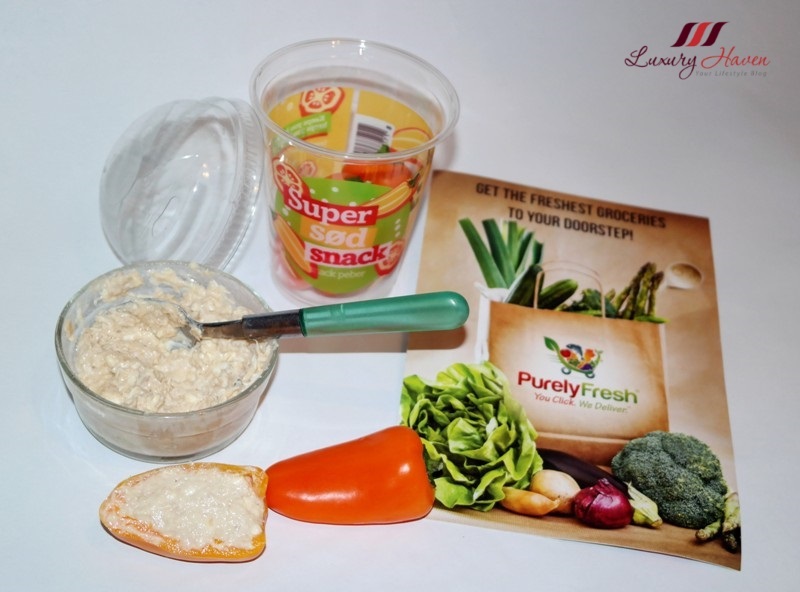 Found these Levarht Super Sod Snacks at PurelyFresh during my online grocery shopping. 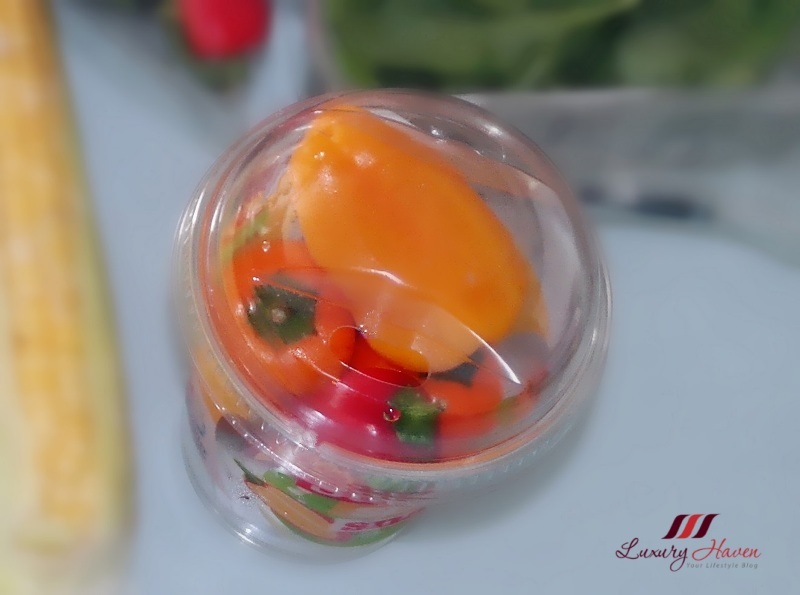 These Holland Mini Peppers hardly contains any seeds, which means they can be eaten off the container. These are ready-to-eat crunchy, juicy and sweet Mini Peppers for you to enjoy snacking while getting a health booster at the same time. 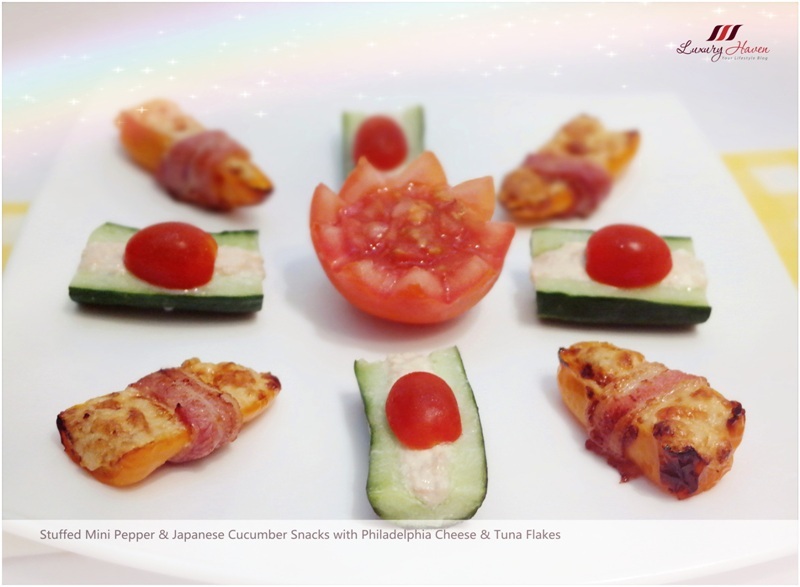 To make the stuffing, simply mix Philadelphia Cheese with Tuna flakes and spoon them into the sweet peppers and cucumbers. I have also prepared a Tomato Salsa dip for those who fancy a spicy kick. 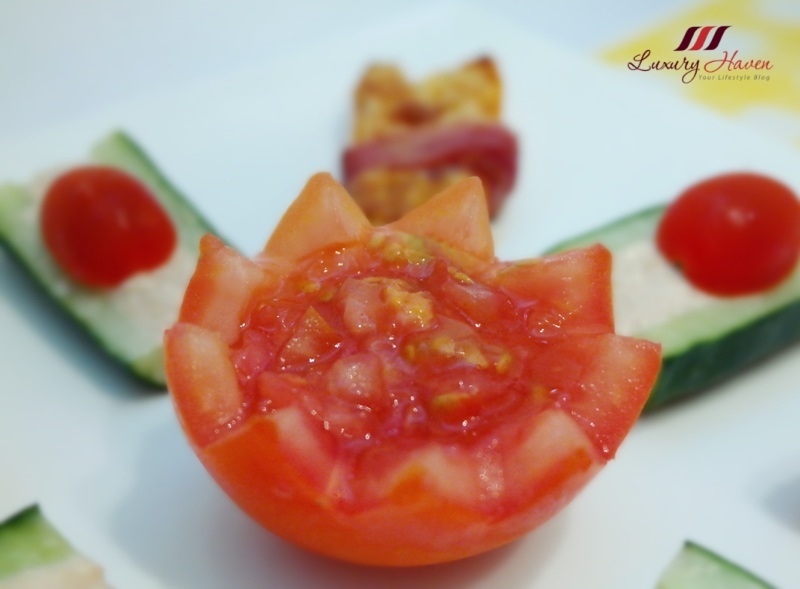 It is just a simple mixture of chopped tomatoes, tabasco and tomato sauce. You may think that Red Bell Peppers are spicy but they are actually the sweetest. Would you like to have a bite? Rinse and cut sweet peppers and cucumber into halves. Remove seeds. Mix tuna with cheese and stuff into peppers and cucumber. Sprinkle parmesan cheese on peppers. 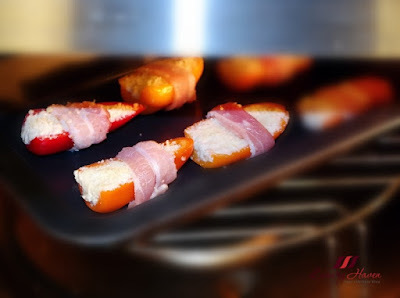 Cut bacon into halves and wrap around peppers. Preheat convention oven at 200°C and bake till golden brown. Meanwhile, lay stuffed cucumbers on serving plates. 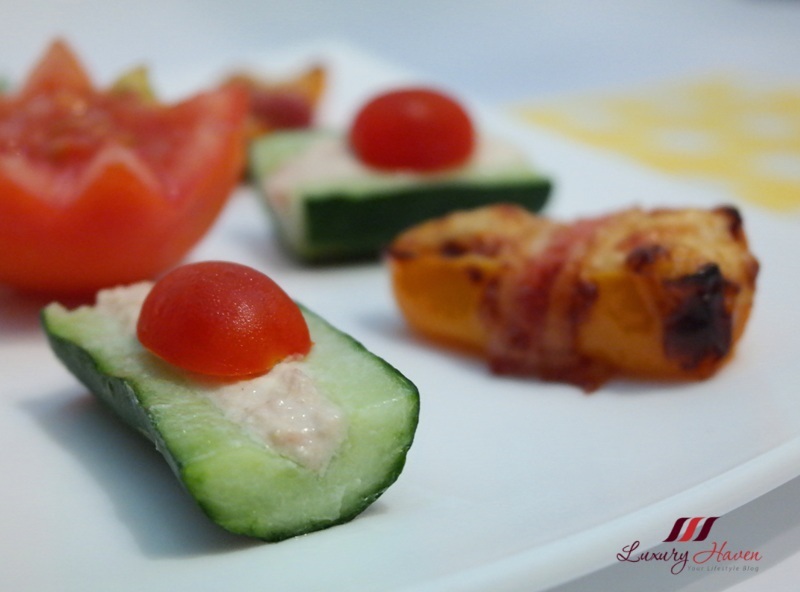 Cut tomatoes into halves and place onto cucumbers. Transfer Stuffed Mini Peppers onto plate and serve with Tomato Salsa! 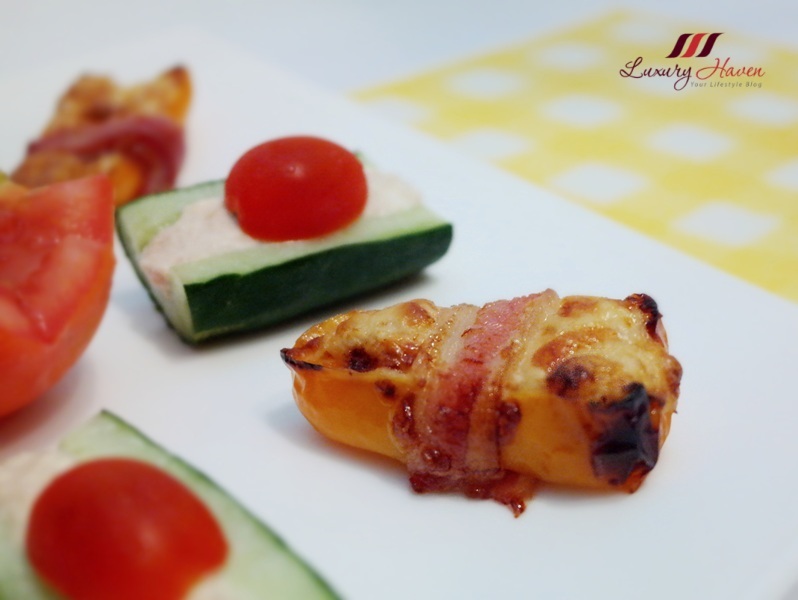 Have you tried stuffing these sweet mini peppers with cheese? 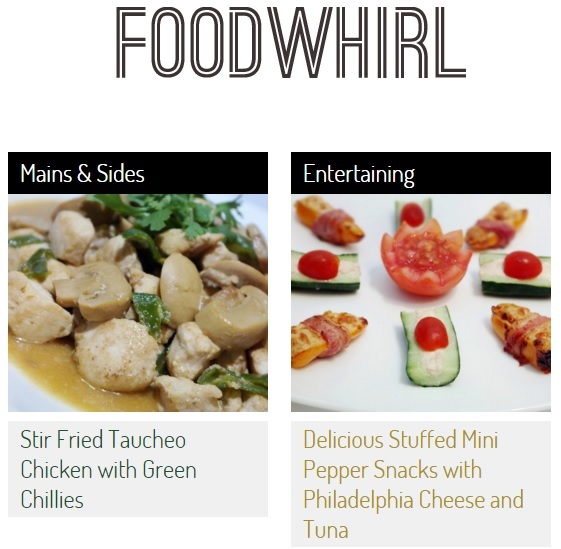 I am pleased to have this recipe featured at Foodwhirl together with my Stir Fried Taucheo Chicken with Green Chillies Recipe! Check out this delicious Chinese dish now! So beautiful made. This is definitely a crowd pleaser. I just bought the tin of tuna and now I know what to do. Delicious rolled over perfect snacks. They look really so so yummy..love Philadelphia and tuna mix. Those mini-peppers would be perfect as party snacks. Hi Shirley, you always make me hungry with your food articles :-P ! 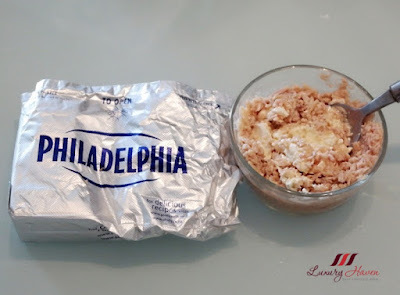 I love cream cheese! This is different! I'll have to try. Un piatto gustoso da provare. Che fame! This combination of peppers, cheese and tuna sounds like a winning one...I think my husban would like it. 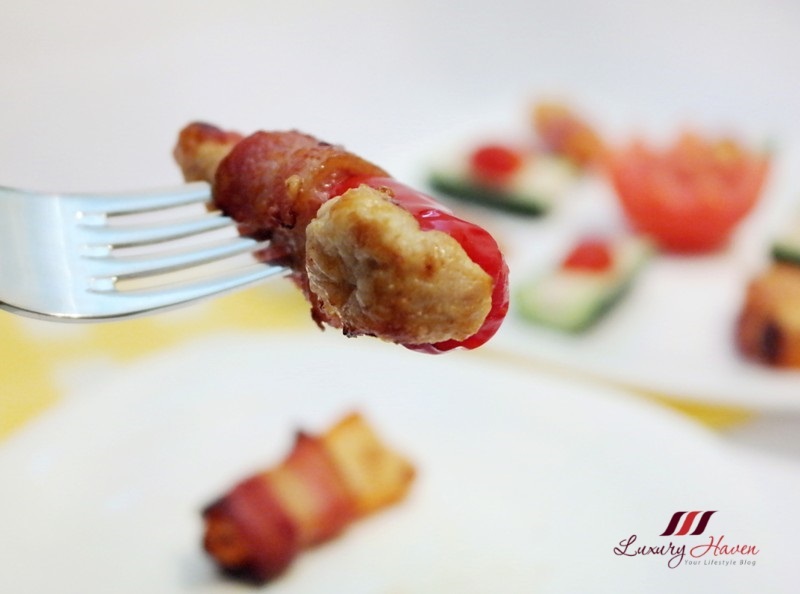 I really must try this one, thank you for sharing this awesome recipe. These petite snacks look like they'd make great bites with a glass of wine. I would like to taste all...great for parties..
Good idea for office luncheon. I attracted to colors. Beautiful and edible. So tasty & good for you! I love sweet peppers but I've never tried them with cheese and tuna before. Looks amazing! You are so creative with snacks. I love this ida because I love sweet peppers. I'd probably substitute the tuna for chicken! Delicioso me encanta,,todo que presentación mas divina!! So hungry now haah This looks so good! It had never occur to me to add cream cheese to tuna. Looks so yummy! Yummy treats! I didn't know that sweet peppers existed. Have a great day! So tasty! 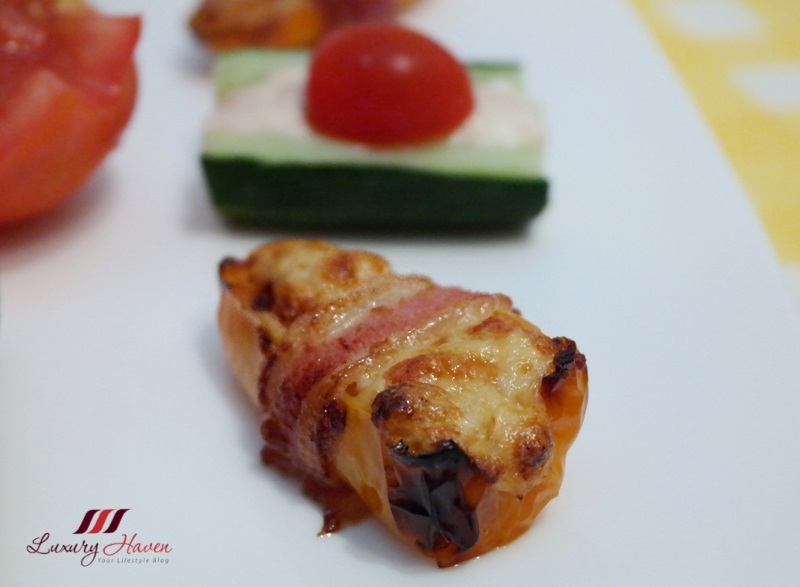 Perfect finger food for parties! So beautiful. Think i can try it out. I love the small shape of the tuna, just like pandan chicken style. Would love to try it..yummy. Looks so yummy! I will definitely try making one!